Introduction and Notes by Dr T.C.B. 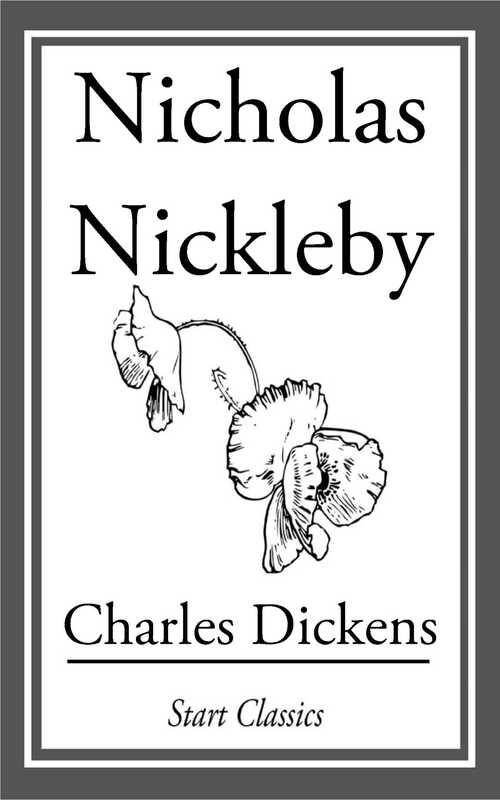 Cook Following the success of Pickwick Papers and Oliver Twist, Nicholas Nickleby was hailed as a comic triumph and firmly established Dickens as a 'literary gentleman'. It has a full supporting cast of delectable characters that range from the iniquitous Wackford Squeers and his family, to the delightful Mrs Nickleby, taking in the eccentric Crummles and his travelling players, the Mantalinis, the Kenwigs and many more. Combining these with typically Dickensian elements of burlesque and farce, the novel is eminently suited to dramatic adaptation. So great was the impact as it left Dickens' pen that many pirated versions appeared in print before the original was even finished. Often neglected by critics, Nicholas Nickleby has never ceased to delight readers and is widely regarded as one of the greatest comic masterpieces of nineteenth-centure literature.